Tea trader Ehsan Movasaghi arrived at our offices with a big idea. The youngest member of a family that has traded tea for generations, he invented a method which made it possible to infuse tea with vitamins that would not get destroyed by steeping the tea in hot water. Vitamin Tea was a brand new, innovative product. 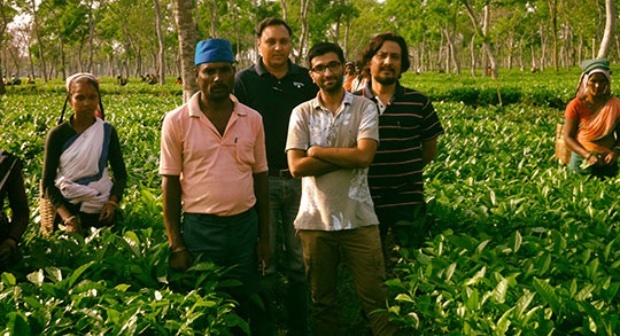 Starting with a glass jar full of tea, we helped Ehsan commercialize his product. After receiving claims approval from Health Canada, we helped source compostable tea bags and started work on the naming of not just the product, but also the brand new company that would be selling the tea. Twisted Leaves was born, with both the name and the logo taking inspiration from the finest and most revered leaves of the tea bush, the top three leaves. We then developed packaging that could withstand the journey from the tea plantations in Sri Lanka to Canada and helped the company to secure their first Canadian listings. Tea+ is listed in health and specialty stores in Eastern and Western Canada. Twisted Leaves has expanded into additional tea products, expanding the family business.